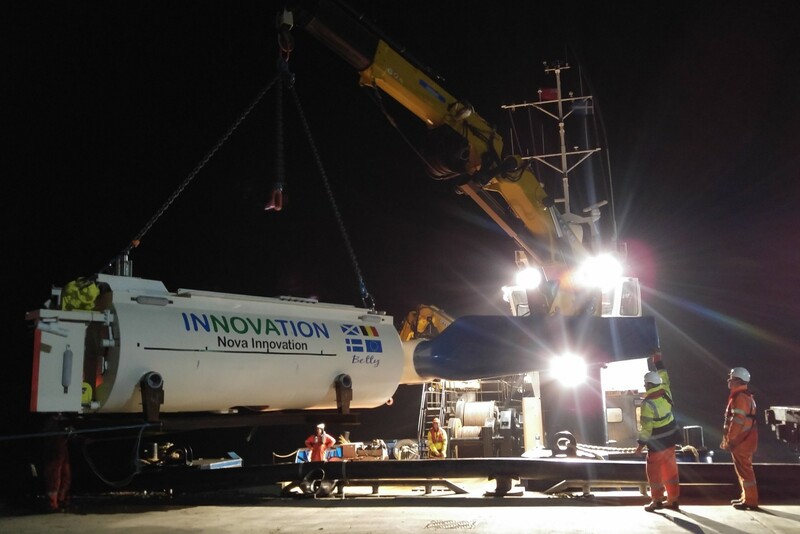 The €20 million flagship Enabling Future Arrays in Tidal (EnFAIT) project, led by Nova Innovation in collaboration with eight other organisations including Wood, has received approval from the European Commission to proceed to its next stage after a successful first full year. The European Union-backed tidal energy project aims to prove that the reliability and availability of tidal energy arrays can be significantly increased and that the cost of tidal energy can be reduced by at least 40%. The project builds on Nova’s existing operational tidal power station in Bluemull Sound off the Shetland Islands in Scotland, which was the world’s first grid-connected offshore array of tidal energy turbines. As the independent technical and commercial expert on the project, Wood’s clean energy team is commissioned to verify each stage of the development process from project engineering design to operation in the tidal stream environment. We are pleased that the Enabling Future Arrays in Tidal (EnFAIT) project has received approval from the EU Commission to proceed to the next stage. We have made significant progress during the last year and this decision is testament to that. This ground-breaking project will benefit the whole tidal energy sector and I look forward to working with the rest of the partners as we move into the next phase.